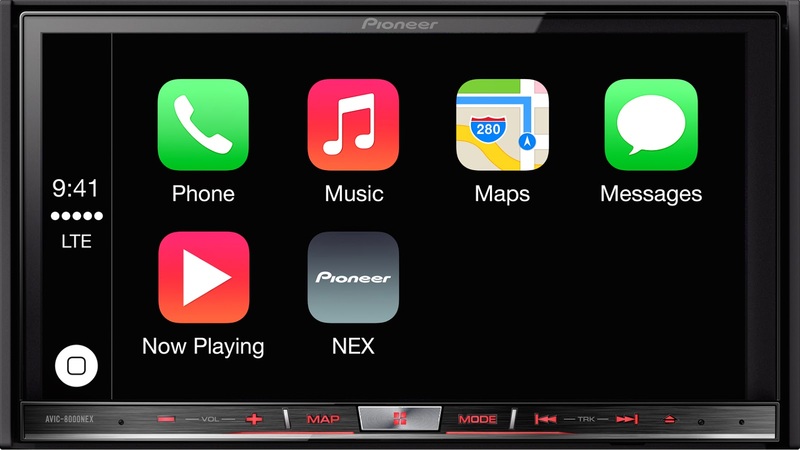 CarPlay is coming this summer to the car you already own via one of five Pioneer NEX receivers. 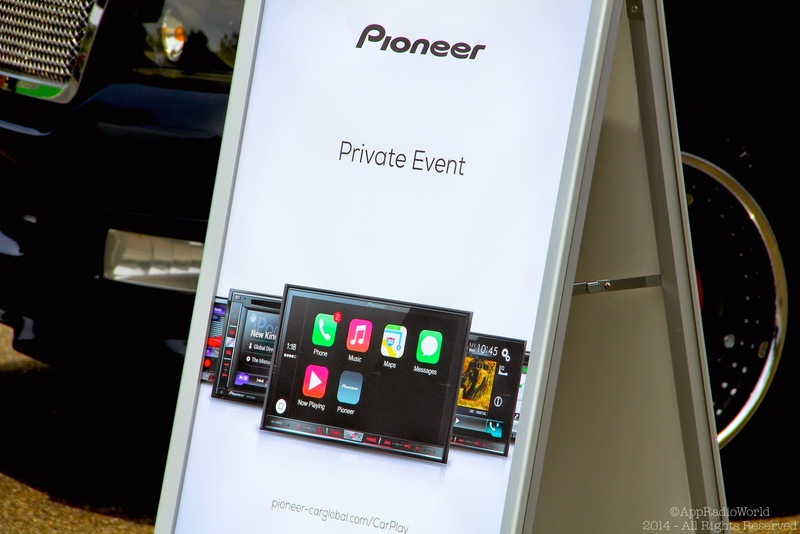 Pioneer Electronics held an exclusive CarPlay Media Event in San Francisco, CA today and we were there to get the latest news. 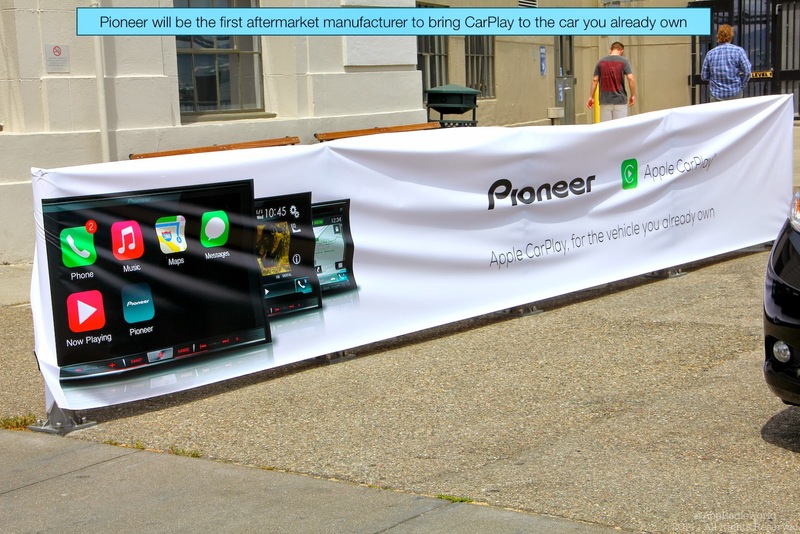 Pioneer Electronics is one of two aftermarket car technology companies that will bring Apple CarPlay to consumers this summer (the other is Alpine Electronics). At the media event today, an introduction to CarPlay was given by Ted Cardenas, Vice President of Marketing for the Car Electronics Division of Pioneer Electronics USA. He explained how Pioneer is working closely with Apple in bringing this latest technology to the consumer. The technology will be available on the NEX receivers via a firmware update coming early this summer. CarPlay is purely an Apple product and developed solely by the Cupertino-based company. Today's event was essentially the first time where an Apple product has been demoed by someone other than Apple themselves. Even the CarPlay demos at the Geneva Motor Show this year were given by Apple representatives. 1. Connection: CarPlay is available to iPhone 5, 5C and 5S users running iOS 7.1 or later. Your iPhone will connected to a NEX head unit through the USB port (not HDMI/Apple digital AV adapter). You can either use your own lightning USB cable or buy one from Pioneer (CD-IU52). 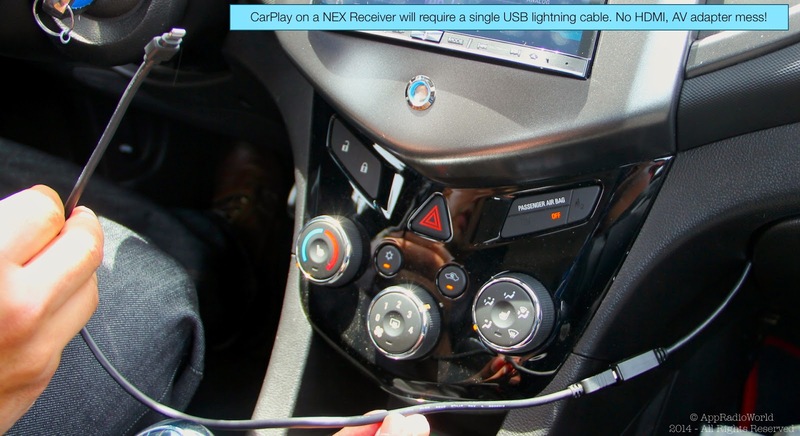 Also, your iPhone doesn't need to be connected to the NEX receiver via Bluetooth to use CarPlay. 2. Launching CarPlay: Once the iPhone is connected, the receiver automatically launches CarPlay. If you have an audio source already running (like the radio), it will continue playing without any interruption. A warning screen will pop up asking you to click OK to enter CarPlay mode much like the initial warning screen when entering AppRadio Mode. 3. 'Phone': The CarPlay home screen has icons for all compatible functions. The first one we demoed was 'Phone'. On clicking the icon, Siri gets activated and asks you who you want to call. Making and receiving a call is very much like you would do on your iPhone itself. If you choose not to use Siri, you can give a 'cancel' command at any time and your phone function lists (Favorites, Recents, Contacts, Keypad, and Voicemail) will be displayed. Note: When the vehicle is in motion or if the parking brake has not been engaged, the keypad is disabled but you can still use the phone functions using Siri or touch input. You won't be able to manually dial a number). 4. 'Music': You can either use Siri or manually select the music you want to play in CarPlay. Accessing iTunes Radio is also done from here. Now you'll have a dedicated iTunes Radio interface with full touch controls, something which AppRadio Mode doesn't have. You can create new stations based on artists or songs, find a popular iTunes chart to listen to, or browse and listen to your own music collection already present on your device. 5. 'Maps': In CarPlay, Apple Maps are used to help navigate to various Points Of Interest (POIs) or addresses. It is similar to how you would do it on your iPhone but the interface is a little different. It looks better that the iOS interface in my opinion. Maps have been improved to work with CarPlay giving you full functionality from your Car. You can choose routes, change destinations on the fly, find traffic info etc. all from within CarPlay. Another cool feature included is 'Destinations' which is a list of recently used destinations or even an address you received in a text message. These destinations are pulled from searches you perform even on your phone and not only from the head unit. Note: The keyboard will be disabled when the vehicle is in motion so you won't be able to type in addresses or Points of Interest information while driving. You can use Siri for this. 6. 'Messages': On clicking the Messages icon, Siri is activated and asks you who you would like to send a message to. You can either do that or have Siri read your messages back to you. When you receive a new message you can have it read to you. Apple has designed Messages for CarPlay in such a way that you won't be able to read your messages from the screen but will have to use Siri to read them to you. 7. 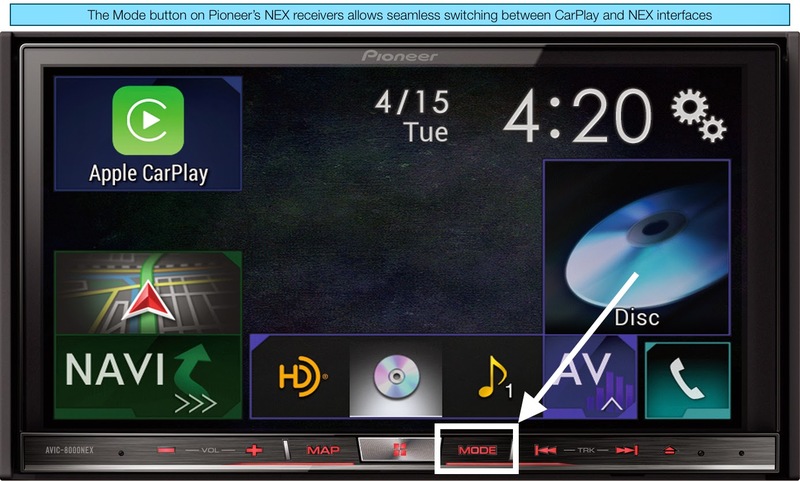 'Mode': The 'Mode' button on the NEX receivers may be the most important button of them all. Using this you can easily switch between CarPlay and NEX mode. In NEX mode you get access to the radio, native navigation (if head unit is equipped), DVD drive, Phone functions, AppRadio Mode, Settings and CarPlay. Clicking the Mode button when in CarPlay mode, takes you to the NEX receivers home screen menu where all the above functions can be accessed. Click Mode again and you are brought back to the CarPlay screen. NO MORE POP-UPS OR WARNING MESSAGES! 8. AppRadio Mode: To use AppRadio Mode on any of the NEX receivers you have to still use an HDMI cable and Apple lightning digital AV adapter. So you obviously can't switch between CarPlay and AppRadio Mode on the fly as they use separate connections (CarPlay uses USB). Users will have to have an HDMI cable connected to the head unit with the Apple adapter and a lightning USB cable for power in order to use AppRadio Mode. You can have the cable hidden away when it's not in use. When asked what Pioneer's plans are for AppRadio Mode, Ted Cardenas said Pioneer will continue to support AppRadio Mode as many of their customers still use the iPhone 4/4S and Android devices which cannot avail of CarPlay. AppRadio Mode has a lot more third-party apps compatible compared to CarPlay at the moment but that may change in the future. 9. CarPlay and AppRadio 3: Ted Cardenas was also asked about having CarPlay firmware updates brought to previous generation head units. To that he remarked that Pioneer is currently focusing only on their NEX units which are essentially their next generation devices with dual-core processors. As of now CarPlay is unlikely to come to AppRadio 3 or any of the other devices. 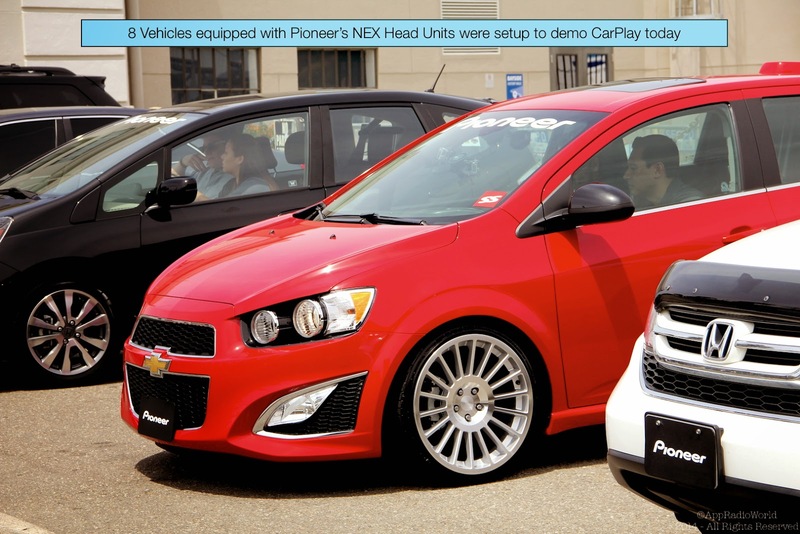 Availability: NEX head units are already available for purchase from online and big box retailers. The CarPlay update will be available "weeks, not months, from now and FREE of charge", remarked Cardenas. That means we could see the updates sometime before June 15, 2014.